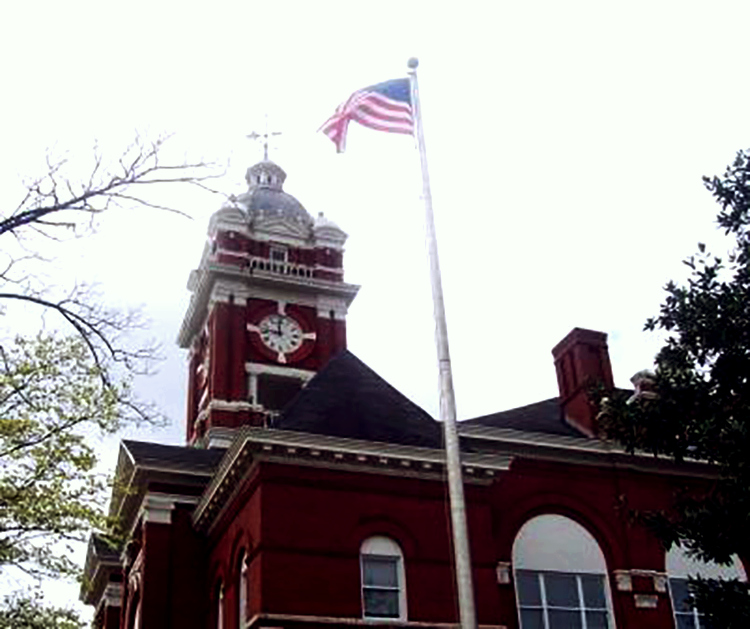 Built in the 1890’s Monroe County Courthouse is located in the City of Forsyth’s historical district. 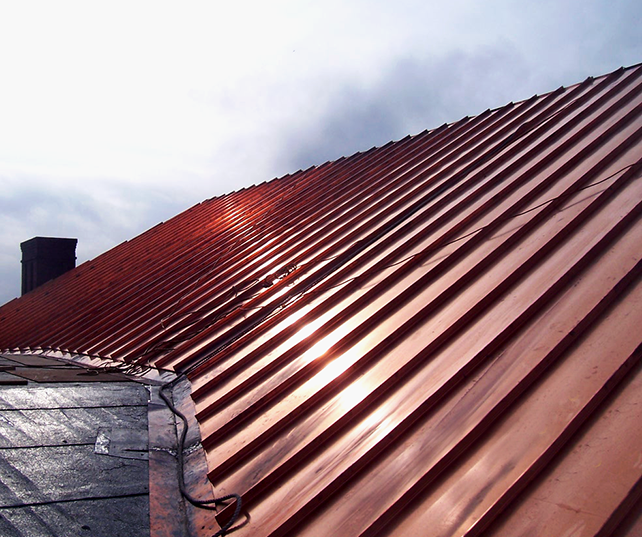 Although the original slate roof had been removed in the 1980’s, leaks continued to occur. 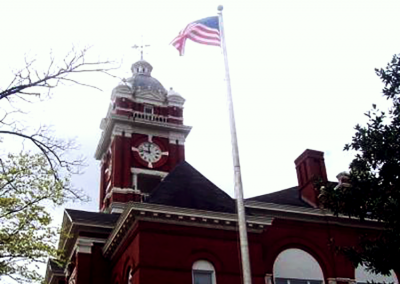 When Monroe County retained Raymond Engineering, the scope of the project involved installing new slate. However, this would require bringing the entire structure up to current building codes, so funding issues forced the selection of an alternative roof assembly. 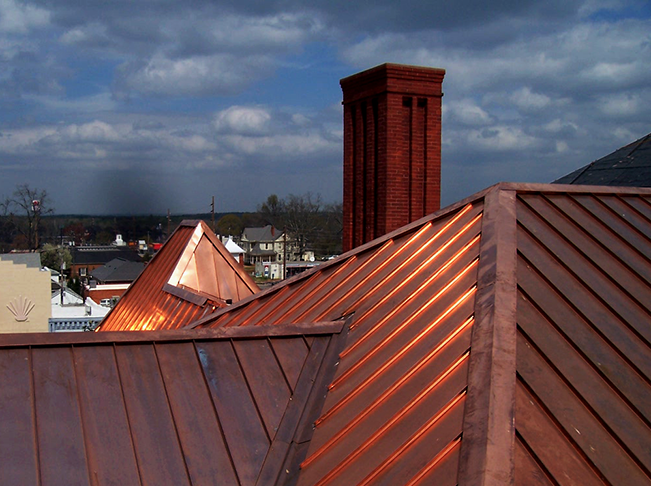 So as to meet the spirit of historic restoration, a copper roof assembly was proposed and ultimately approved by the County Commission. 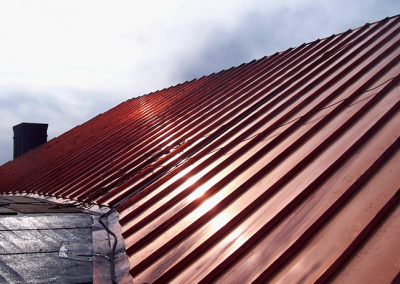 On the steep sloped areas, a standing seam system was designed. Due to the size of the flat areas and valleys, a combination of valley flashings and interlocking copper panels were specified. The original interior gutters were uncovered and new gutters were designed and installed. Lastly, a fully adhered TPO roof system was installed on the area beneath the clock tower. One major issue that needed to be addressed in this design was the presence of painted galvanized steel molded trim around the entire building perimeter. Due to the galvanic incompatibility of the two metals, the design had to issue adequate separation of the two metals. 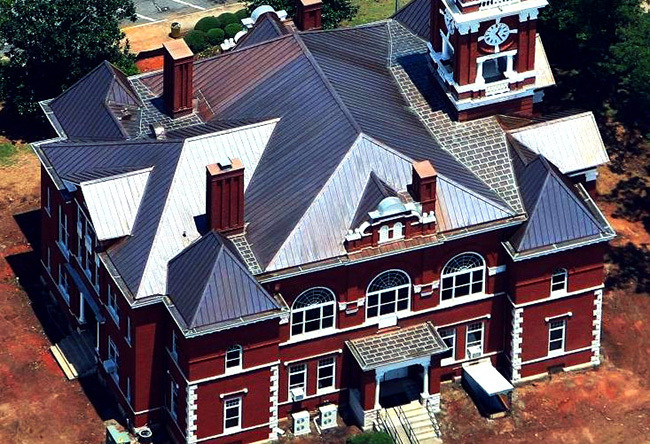 We were able to design a roof that not only kept the historic integrity of the structure, but we also were able to stay within the budget perimeters of the client. Additionally, we provided management and quality assurance inspections. This project came in on time and on budget.